Want your car looking great? Need better handling? Towing a trailer or camper or even four-wheel driving on the weekend? Our workshop can equip your car with what it needs to handle any situation! 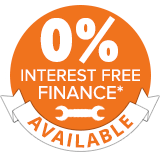 We have access to a huge range of aftermarket accessories from the biggest brands at fantastic prices with interest free finance* available. From tow-bars to full suspension upgrades or even lift kits and custom work – we’ve done it all. Meet “Big Bird”, our very own Ford Ranger showcasing some of the many 4wd accessories from the leading manufacturers we can fit for you, from our workshop in Bibra Lake. Need advice with your upgrade? Our team are ready to help you. Call (08) 9434 5533 or Get a no-obligation FREE Quote.